music related is excited to present its first release…. 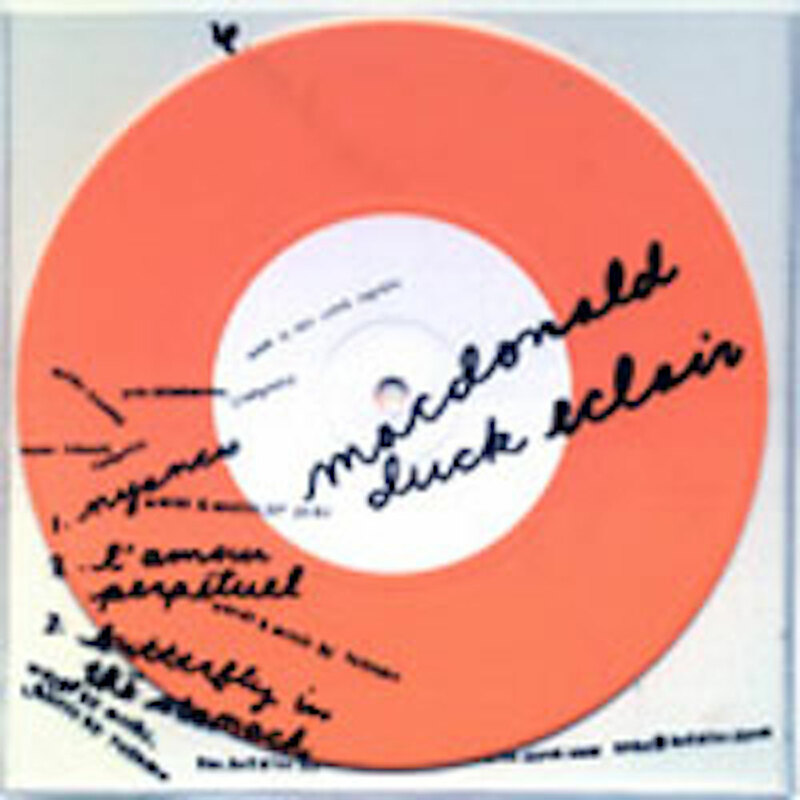 the first states-side release of two great tokyo groups — macdonald duck eclair and micro mach machine. the macdonald duck eclair trio take a high-speed synth-fueled ride through the current world of japanese “pico pico” electropop, guided by vocalist michi’s fluffy, kahimi karie-esque vocals. micro mach machine use sugar-coated punk, super girly vocals, spastic sampling, and one well-worn speak-and-spell to knock the wind out of you – just as if you were hit in the stomach with a tetherball on the schoolyard playground. this 7″ is limited to 900 copies and comes in a special interactive package of orange-vinyl and clear printed sleeves.